The long-awaited third installment will be written by the original screenwriters, Chris Matheson and Ed Solomon, and will follow Bill and Ted as they write the song that will save the world. Something they meant to do about 20 years ago. “When we last got together, part of it was that Bill and Ted were supposed to have written the song that saved the world, and it hasn’t happened. So [in the next film] they’ve now become kind of possessed by trying to do that. Then there’s an element of time and they have to go back,” said Reeves on potential plot elements for the threequel. So, what it is going to be called? 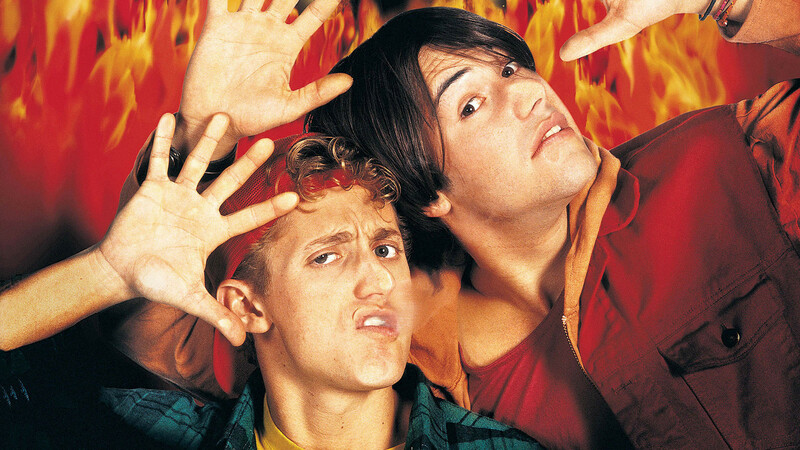 Bill & Ted’s Righteous Magnum Opus? Bill & Ted’s Epic Musical Voyage? Or the simple, to-the-point Bill & Ted Save the World With the Majesty of Song? But also, how will the Wyld Stallyns deal with being aging rock stars? Are they still the Wyld Stallyns? Most importantly — how will they do this without Rufus?